November 5, 2015 – Scientists involved in NASA’s Mars Atmosphere and Volatile Evolution (MAVEN) mission, which is being led by the University of Colorado Boulder, have identified the process that appears to have played a key role in the transition of the Martian climate from an early, warm and wet environment that might have supported surface life to the cold, arid planet Mars is today. 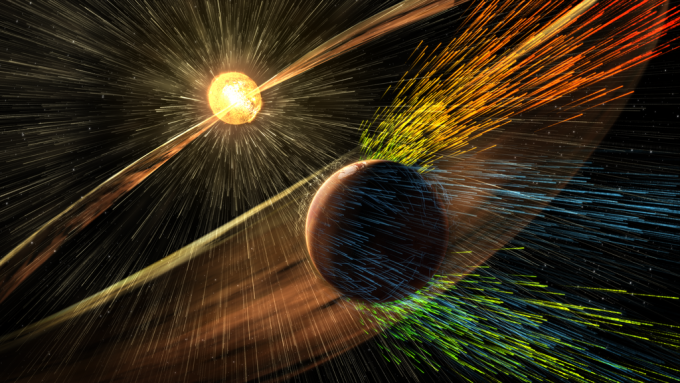 MAVEN measurements indicate that the solar wind strips away gas at a rate of about 100 grams (equivalent to roughly 1/4 pound) every second. 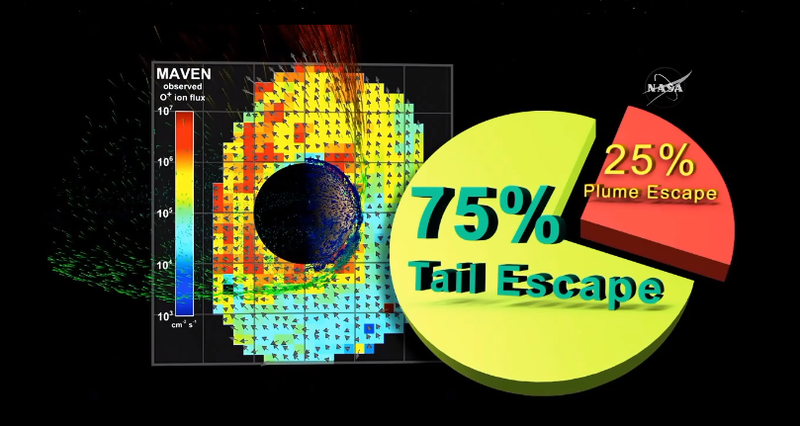 The goal of NASA’s MAVEN mission, launched to Mars in November 2013, is to determine how much of the planet’s atmosphere and water have been lost to space. It is the first such mission devoted to understanding how the sun might have influenced atmospheric changes on the Red Planet. MAVEN has been operating at Mars for just over a year and will complete its primary science mission on November 16. The mission has been approved for a 10.5-month extended mission through September 2016. All of the instruments and the spacecraft are working well.